1. Thank God It’s Friday!! 2. I’m glad to have people such as Mrs Wada (pictured above) and her nice family! 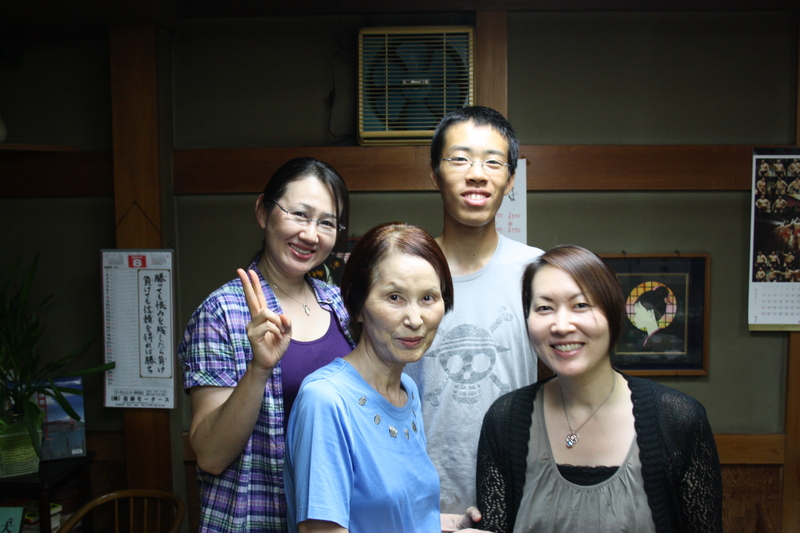 Today was the Bon Festival in Tadaoka, and Wada-San had asked me to come along with her and her family. I arrived to あけぼの and Mrs Wada‘s daughter was making Takoyaki (Octopus balls). It was so yummy! I was almost going to buy some for lunch, patting myself on the back for not buying those for lunch now! After eating Takoyaki, Beef Udon, mushrooms in rice, tempura, drinking cold tea and beer, I was pretty full! and with that, off to the Bon Festival we went!